Chernivtsi Oblast is an oblast in western Ukraine, consisting of the northern part of the region of Bukovina and Bessarabia. It has an international border with Romania and Moldova. The oblast is also the smallest in Ukraine.The oblast has a large variety of landforms: the Carpathian Mountains and picturesque hills at the foot of the mountains gradually change to a broad partly forested plain situated between the Dniester and Prut rivers. Its capital is the city Chernivtsi. The region spans 8,100 km². Population:GeographyChernivtsi Oblast covers an area of 8,097 km². It is the smallest oblast in Ukraine, representing 1.3% of Ukrainian territory.In the oblast there are 75 rivers longer than 10 kilometers. The largest rivers are the Dnister (290 km), Prut (128 km) and Siret (113 km).The oblast covers three geographic zones: a forest steppe region between Prut and Dnister rivers, a foothill region between the Carpathian Mountains and Prut river, and a mountain region known as the Bukovinian part of the Carpathian Mountains. Chernivtsi Oblast is in Ukraine. 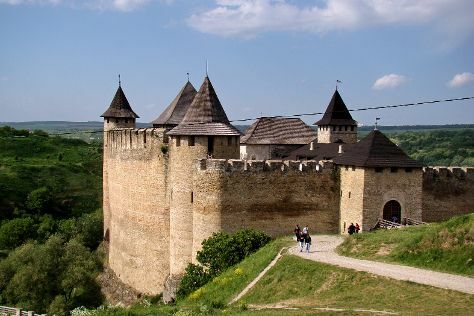 In the build up to your vacation in Chernivtsi Oblast, plan trip itinerary minutiae using the visitor reviews, staff write-ups, and custom search fields on our Ukraine trip itinerary builder .